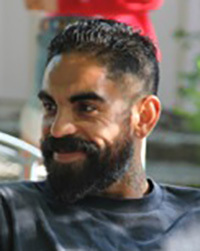 Enrique Collazo has been practicing in the Vipassanna tradition since 2005. Since 2009, he has offered daylongs, workshops, and classes as a facilitator and meditation instructor for youth and adults in Los Angeles and the Bay Area. He's currently in the teacher training with Against the Stream. Enrique shares Dharma in a straightforward and practical manner and loves working with youth and supporting their transformation.